3 bedrooms (1 is en suite), 2 bathrooms one upstairs the other downstairs. Entrance is on top floor leading to bedrooms. Parking spaces for at least 4 cars. Kitchen with all essentials living/dining. Swimming pool and BBQ area with tabel & chairs & sun lounges. No smoking in the villa. My parents were both born in Madeira but they both came to the Island of Jersey in the English Channel back in the early sixties. I was born in Jersey along with my sister & Brother and were educated in Jersey. I am married and have a daughter, my husband was brought up in Madeira. I love to travel and did a bit of travelling through Asia in 1999 - 2000. My parents are from the Island, and majority of my family are there. My husband was brought up in Madeira and would like to retire there, this is why we bought the property but until we retire we would like to share the experience of our beautiful villa and the beautiful island of Madeira with others so that you can experience what Madeira has to offer. One of the best attraction that the villa has which we enjoy when we go over and a few of our guests have also mentioned is that it is in a very peaceful area and you can sit at the bottom of the garden with a drink and enjoy the wonderful view of Funchal - because of how high the villa is situated. En suite - bedroom 1 bath /shower, wc, bidet. Top floor bathroom - bath/shower, wc, bidet (hairdryer). Ground floor bathroom - shower, wc. Living/dining room - table, chairs, two sofas, coffee table, TV, DVD(also plays CD's) and satellite. Two double patio doors leading onto patio area with view to Funchal. Dishes are included in Kitchen for in the house and also separate plates outside in the BBQ area for outside use. All cutlery pots & pans, cooker, fridge/freezer, washing machine, dishwasher, microwave, oven, kettle, toaster. The closest is Palheiro Golf with 10 min walking distance. Then 20 min drive you have Clube de Golf Santo de Serra. Notes on accommodation: Travel cot and pushchair available on request, and a Mothercare tent for babys to be protected from the sun. Outside: There is a lawned area to the right side of the villa and to the left there is a private swimming pool and to the back the BBQ area with table and chairs,there are doors which can be closed if the evening becomes breezy, there is a CD player so that you can listen to music while out in the BBQ area, this also has radio. There are also 6 sun loungers. There is a large clothes line on the back wall as you come out of the kitchen. Linen basket and pegs are in the kitchen. Utility Room: Cupboard at bottom of stairs - iron/ironing board, vacuum cleaner, step ladder, mop and bucket and broom and clothes- horse. Cleaning / Towels / Linen / Maid service: Towels bath/hand & bidet towels are supplied, bed linen is provided and changed once a week, house will be also cleaned once a week. Thank you it is always no e to know that guest can treat the house as theirs. La casa è molto bella con splendida vista su Funchal inoltre è dotata di tutte le necessarie attrezzature (compresa una Moka per 6 persone) e di ogni piccolo elettrodomestico. Confortevoli il locale barbecue, la piscina con sedie a sdraio ed il parapetto in vetro che permette una ottima visuale verso l'oceano. Abbiamo particolarmente apprezzato, considerata la nostra età, la qualità dei materassi. Inoltre è in ottima posizione per visitare l'isola. Consigliamo vivamente questa struttura. Un très beau jardin avec une vue extraordinaire. Thank you for visiting Madeira and staying at our villa we always try to make your stay a home from home. So thank you for your kind words. 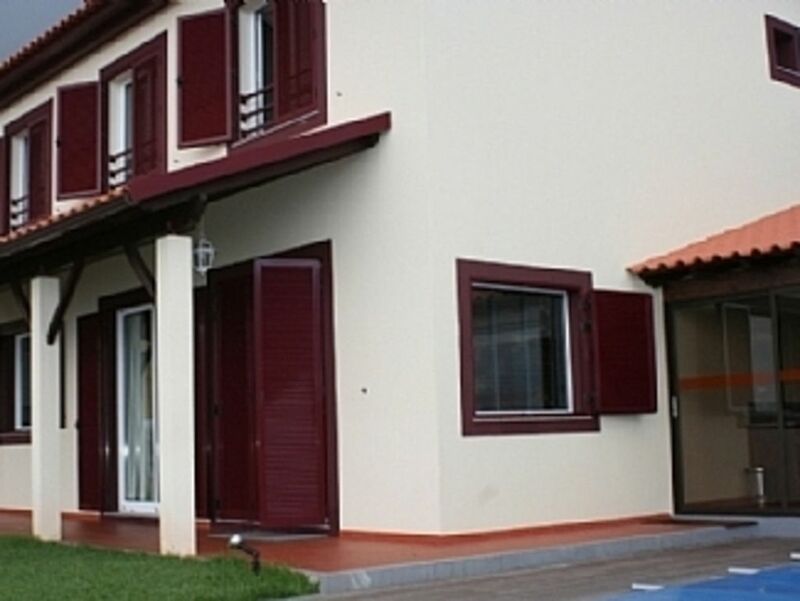 Hemos estado 10 días en esta villa preciosa, tiene todas las comodidades utensilios de cocina ropa de cama y toallas, no falta ningún detalle. Hemos disfrutado de la piscina, barbacoa y sus vistas!! Desayunar en el jardín no tiene precio. Primer caso que veo.... la casa en realidad es mucho mejor que en las fotos!! Muchas gracias a Elena por su atención en todo momento y dejarnos disfrutar de su hogar en Funchal. Y a Marco por guiarnos y atendernos a la llegada. Todos hemos quedado encantados y con ganas de repetir!! La isla tiene unos paisajes maravillosos, sus pueblos y la comida excelente. Sorry for the delay I had no laptop for a while, I am very happy that you enjoyed your stay in Madeira and in our villa it is always nice to know that guests have enjoyed their stay. I hope to see you again in the future. Wir wurden bereits am Flughafen sehr nett empfangen und Unstimmigkeiten mit unserer Autovermietung konnten auch gleich ohne sprachliche Barriere aus dem Weg geräumt werden. Herzlichen Dank dafür nochmals. Im Haus haben wir uns sehr wohl gefühlt, einzigartig ist die Aussicht, die man vom Garten und Pool aus genießen konnte. Im BBQ Bereich haben wir die kühleren Abende genießen können. Rundum ein sehr schöner Urlaub. Nous avons passé 2 semaines dans cette villa située sur les hauteurs est de Funchal. La maison est spacieuse, parfaitement équipée, très bien entretenue et propre, le linge est fourni et changé en milieu de séjour, le ménage est également effectué. La vue est absolument incroyable, il n'y a aucun vis à vis coté jardin/piscine. A noter que les photos du site ne mettent pas la maison en valeur. Thank you very much for your review on our villa and glad that you enjoyed your stay in our villa. There is only 1 airport in Madeira, Funchal airport. We recommend that a car is hired to make the most of your holiday. Madeira has some lovely places to see, and for those that like trekking there are also lovely places that can only be reached by foot, all this information can be acquired by the Tourism Office in Funchal. We provide a driver to collect or lead the way from the airport to the villa at no extra cost. The villa is just on the outskirt of Funchal therefore quite central. There is a large supermarket just 5min drive with petrol station, bank and cafes. You then also have Canico which has restaurants, bars and cafes. 15 min drive you have the Santa Cruz Waterpark. Most places can be reached quite quickly due to the motorways although you still have some of the old roads which can be scenic but also bumpy. Near the villa there is a botanic garden which in summer is very beautiful to visit. The driver that we have available for pick up and drop off is available for guided tours this will be paid by yourselves direct to the driver. Owners speak English and Portuguese. There is alot of activities to suit all, you can do whale and dolphin watching as well as diving, all information will be given at the tourist office. Booking Notes 25% deposit will need to be paid which will be non-refundable, with the total balance to be paid six weeks before arrival. Payment will be made to owners bank. Changeover Day: Changeover day can be flexible, depends on whether there are other arrivals we need to give enough time for cleaning. Notes on prices: Prices are for the property per night in UK pounds. Discounts for longer lets can be arranged prices will be discussed at the time. No parties on the property, or loud music/noise this is a residential area with no restaurants or bars close.